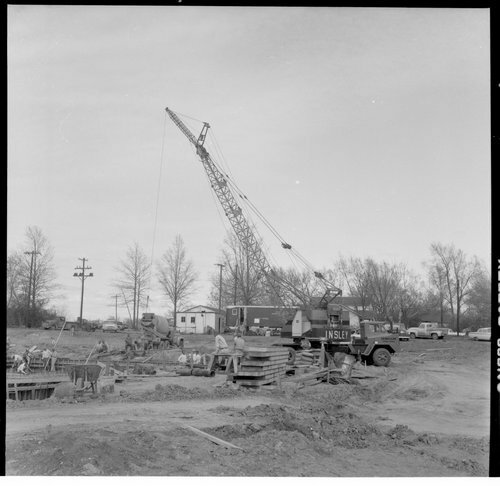 Five photographs showing construction of a swimming pool in Topeka, Kansas. This was the first jointless pour in Kansas. The contractor was Rinner Construction Company and the engineers were Servis, Van Doren & Hazard.